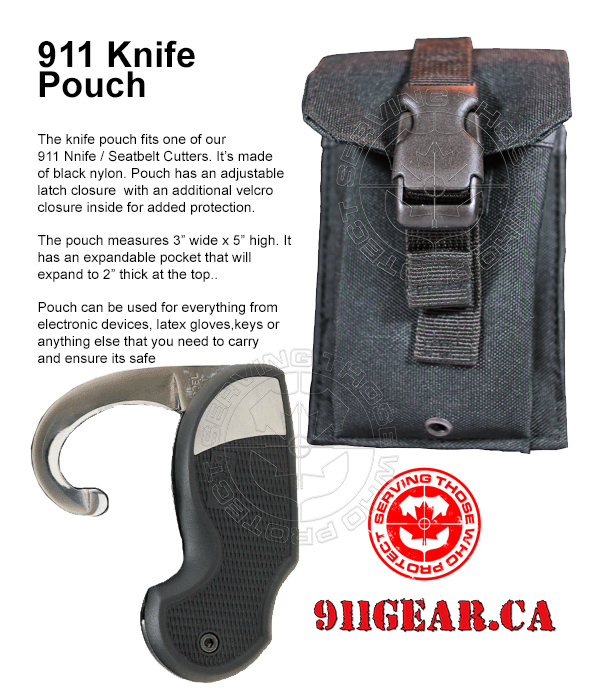 911gear.ca 911 Knife Pouch / Utility Pouch with latch. We’ve taken our M.O.L.L.E utility pouch and modified it to fit onto your duty belt. The pouch is made of black nylon, has an adjustable latch closure with an additional velcro closure inside for added protection. It measures 3” wide x 5” high, has an expandable pocket that will expand to 2” wide. The pouch can be used for everything from electronic devices, to latex gloves to keys or anything else that you need to carry and ensure its safe. Pouch will hold 7 pairs of Nitrile gloves easily.